From Dings and Scratches to Major Body Work, We are Here to Help You. Let’s face it. In a world filled with reckless drivers and hazardous weather conditions, it might seem impossible to keep your car looking ‘like new’ once you drive it home. Serving Waterbury CT, Naugatuck CT and Torrington CT area drivers, we’re here to help you restore your vehicle’s perfection. Call Honda of Watertown Collision Services first! We will tow your vehicle to our facility, because you should never drive a vehicle that could be unsafe due to damages. vehicle… at Honda of Watertown! Because we pride ourselves on being brand experts for new Honda models and beyond, you can rest assured you’ll be pleased after your vehicle visits us for some TLC. 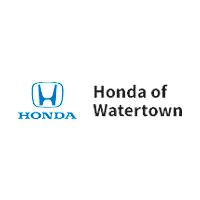 Honda of Watertown Collision Services offers a limited Lifetime Warranty on all our repair work. The result: your car will shine just like a new model we feature in our showroom. Want to make sure they run that way, too? Our auto service and repair department is trained to help you get the most out of your vehicle. An appointment with our skilled professionals is just a click or call away. You can sign up by following the link below, call us on the phone, or come in personally, and we’ll get you in when it’s convenient for you.